Fountain: You have had such a long and distinguished history in astrology that I hardly know where I would begin. I don't doubt that I'll be covering some old territory, which lots of people know about, but here goes. As someone who holds office in a worldwide astrology association (ISAR), is actively involved with many astrological associations, and whose business puts them in touch with currents in the "non-astrological" world, I would first off like to know what you think about how healthy the astrological community is today, where you think it is going, and where you think it should be going? Merriman: I think Astrology is getting increasingly healthy all the time. The quality of thought concerning grasp of the subject just keeps getting better and better over the last 20 years or so. I base this on the quality of lectures I hear at major symposiums throughout the world. Just when I think I've made a new leap in my understanding, I sit in on a lecture and realize that this person has made an even greater leap in understanding - and application - of astrology to the human condition. So there are a lot of very good astrologers today, and they just keep getting better and better at what they do. Fountain: You've probably answered this question more than once over the years, but I would like to know how you got interested in astrology, and how you came to combine that interest with your work in the financial community? Or should I turn that question the other way 'round? Merriman: I got interested in astrology when I was in my senior year at Michigan State University, earning my degree in Psychology. I was taking a graduate research course in Social Psychology at the time, and a thesis I was working on was related to my speculation that a new sub culture was forming in society (this was 1966-67). I took it upon myself to administer the Rokeach Values Test, named after Dr. Milton Rokeach of MSU - my instructor, to those who were known as "Flower Children" at the time. This was before the term "hippies" became popular. My criteria for subjects of this group were that they had to live in communes, which were springing up all over the country. My goal was to see if the values of these people differed significantly from the values of others groups in our society that Rokeach himself had analyzed statistically. The end result was that my control group varied so much more than any other group that Rokeach and his students had analyzed that he was absolutely amazed. So I concluded there was a new sub-culture forming in our society that would have a profound a dramatic impact on the future of the USA society. Fountain: You have developed a whole series of techniques to assist in making investment decisions, and have composed a training program based on those techniques for people interested in investment astrology, and have created several computer programs that offer specialized support for those techniques. I would like to hear from you in a general way about what those techniques are. Also, how do they enhance your ability to act in today's marketplace? Where can people go to learn more, or to purchase these materials? Merriman: Yes, I have developed a complete system for the investor or trader who wishes to enhance their market timing skills, and by inference, their profitability. Fountain: The Solar Returns Report you wrote for Matrix Software is for everyone, not just those interested in investment indications. Would you please discuss what approach you took in putting together that report, and say why you think it is distinctive? Merriman: First of all, I love this program not just for its content, but also for the elegant way Matrix put it together for me. Fountain: Here's a hot-button question: should astrologers be actively seeking greater general acceptance and respectability for astrology in the world at large? What measures do you think astrologers should be taking to improve the discipline's circumstances in the world? Merriman: I don't think astrologers need to be actively seeking greater general acceptance and approval and respectability for astrology from the world at large. I think they need to actively seek it from themselves, between one another. If astrologers become more accountable and responsible to their clients and to one another, then the result will be greater general acceptance and respectability from the world at large. Fountain: What are you working on now? Do you have some projects that you would like to talk about? Merriman: I am involved in writing a 5-series volume titled "The Ultimate Book on Stock Market Timing." I am in volume 3 now, due out this summer. It will take another three years to finish what I started in 1994. At that time, I simply asked myself: "If I were to accomplish anything meaningful with my life, what would I like it to be? Where would I like to leave my "mark in life?" I decided it would be to leave as complete a study as possible of my understanding of the U.S. stock market. I committed myself to "becoming one with the soul of the stock market" for the next several years. To research all the cycles I could possibly find, and determine which - if any - astrological signatures had a correspondence with the greatest and smallest of all these cycles. I knew how to do it. I just was never sure when I would find the time to study 200+ years of data, and write out my results. Fountain: What excites you at present? I'm asking about trends and developments in the world at large as well as in the field of astrology. Merriman: There are many things that excite me. For instance, I am excited about working with the board of directors of ISAR - the International Society of Astrological Research. They are such good people. I love brainstorming with them. I love it that each of them is a visionary and puts the future of the astrological community before themselves. I love that they support each other so much, and truly seem to get inspired from one another. And I love that they are in fact doing something constructive on behalf of astrology. Astrologically, I would say I am most looking forward to the period of Uranus transiting through Pisces, while Neptune is in Aquarius. This may be a time when things we can only imagine right now might become realized. I expect this may be the most exciting time of my already exciting life to live on this planet :-)). I think this coming period is what I was born for - maybe that's true with many of us. But then again, Neptune is my rising planet and Uranus my culminating planet, so maybe it is something I feel personally tuned in to. 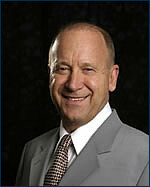 Raymond A. Merriman is the President of The Merriman Market Analyst, Inc., since 1981. He is the editor of the MMA Cycles Report and other advisory market reports used by traders and institutions all over the world. His free weekly market column is translated into 7 different languages. He is the author of several books on financial astrology, as well as The Solar Return Book of Prediction (1977) and Evolutionary Astrology: Journey of the Soul Through States of Consciousness (1977, 1992). He also currently serves as the President of ISAR (1994-2000 and 2002-2008), and is co-coordinator for the UAC 2008 conference.